While evolution became a big deal in 1859 with the publication of Darwin’s Origin, there were of course people who had the idea of evolutionary change before him. One of these was Jean-Baptiste Lamarck (1744-1839), who suggested that organisms had evolved over long periods of time, but who has become infamous for suggesting that that evolution involved phenotypic changes according to an animal’s “will” that altered heredity via use and disuse of parts (the giraffe evolving a long neck by stretching it to reach high branches is the classic example). In contrast, his fellow Frenchman, the influential zoologist and naturalist Georges Cuvier (1769-1832) argues for the “fixity of species”: because species’ parts were optimally adapted to each other, species could not and did not change over time. Their conflicting view of evolution, and how they were subject to a test, albeit a flawed one, is described in this article in the new PLoS Biology (click on the screenshot, reference below and pdf is here). The tale is brief. When Napoleon and his army invaded Egypt at the end of the 18th century, they found and recovered many animal mummies, which included not only the famous cats, but also jackals, dogs, snakes, the sacred ibis, and of course humans. Many of these were brought back to Paris and put in museums. And there there were lots of them: the paper notes that the catacombs at one site alone contained 4 million mummies of the Sacred Ibis. That bird became the bone of contention between Lamarck and Cuvier. And here are some mummified Ibises (their wrapped bodies were put in pots); the caption is from the paper. (from paper): Fig 2. Mummified Sacred Ibis. 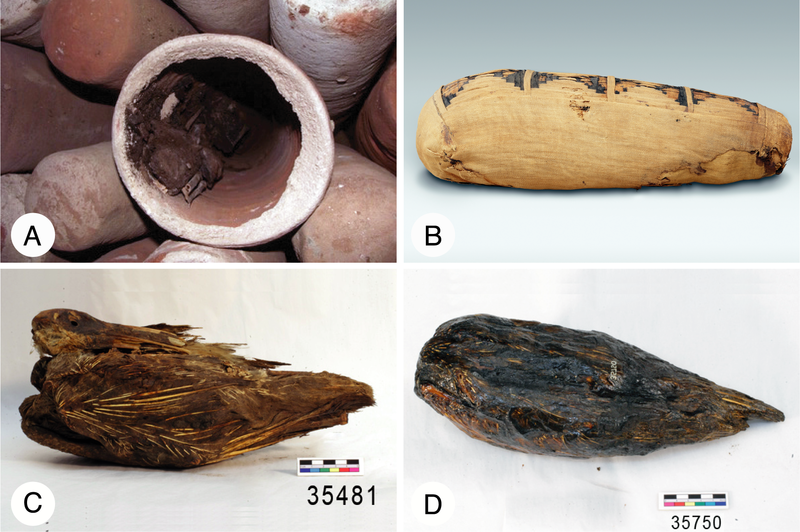 (A) Empty and full pottery vessels from catacombs from Saqqara, Egypt (photo credit Sally Wasef), (B) mummified Sacred Ibis wrapped in cloth (photo credit Metropolitan Museum of Art, New York), (C) a well-preserved example of an unwrapped Sacred Ibis mummy (the head and wings of the bird are clearly visible), and (D) a mummified Sacred Ibis dipped in resin. Based on these measurements, Cuvier correctly established that the mummies were not storks. He determined that the mummified birds matched the unclassified birds from the museum. Cuvier went on to name these birds Numenius ibis, and they have subsequently been reclassified as T. aethiopicus (Sacred Ibis). Cuvier also recovered a few uniquely shaped black feathers from a mummy that provided further evidence for his identification of the mummified birds as ibis. To Cuvier’s knowledge, these distinctive black feathers were a characteristic of the genus Numenius . Cuvier preserved these feathers for future examination as “a remarkable monument of antiquity and a peremptory proof of the identity of species”. The measurements of the mummified bones were not a perfect match with those taken from the museum specimens of Sacred Ibis. 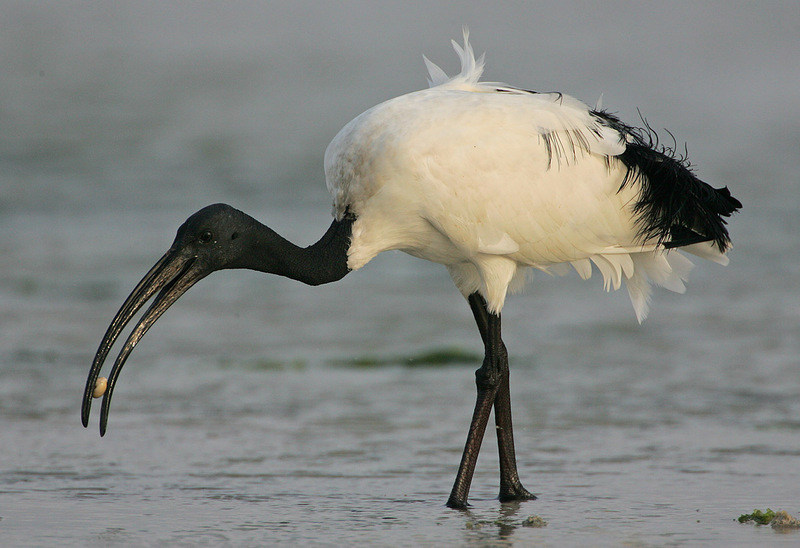 However, the measurements between the ancient material and the then-contemporary Sacred Ibis were similar, and Cuvier concluded that no detectable anatomical changes had occurred over time. This made him the first to test the idea of evolution. The debate went on at the French Academy of Science, and Cuvier properly replied that, after all, these birds were only 3,000 years old, and that wasn’t enough time to expect much evolutionary change. The results thus seem inconclusive, but Cuvier’s objection was reasonable. I’m not sure what the upshot was among zoologists, as the authors don’t report this, but it’s really a one-way test of evolution, and not a very good one given that there was “not a perfect match” between the measurements of extant versus mummified ibises. “Similar” is not “identical”, and some evolution might indeed have taken place based on the measurements. Still, this is an interesting episode in the history of evolutionary biology, and a “test” of evolution that preceded Darwin by several decades. What surprises me is that this episode is well known to historians of science and to some evolutionists (I’m not among the informed), and I don’t really see a good reason for publishing it in a premier biology journal. Still, I was glad to learn the story, and perhaps you will be, too. This entry was written by whyevolutionistrue and posted on October 4, 2018 at 1:15 pm and filed under evolution, history of science. Bookmark the permalink. Follow any comments here with the RSS feed for this post. Both comments and trackbacks are currently closed. Yeah, me too! Thanks Jerry. But we did see humans turning monkey! I watched a documentary on this – the Egyptians had a strong and powerful business interest in these kinds of offering and it included and other animals such as cats and monkeys. Millions of them. It was a very profitable business and there is evidence of extensive “farms”, mostly near temples and cemeteries. Some tombs of very wealthy people engaged in this business have been found. What happened was people could buy these animals from vendors, sometimes alive but the evidence is clear that many already made into mummies and were available for purchase “over the counter”. 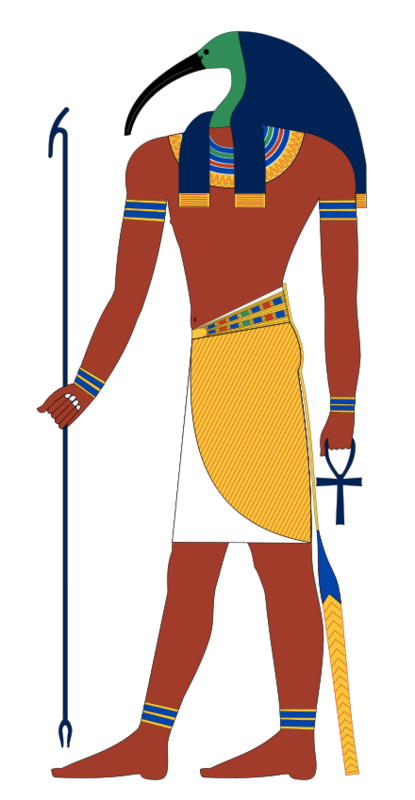 The mummies were placed (for a fee) in a temple or other site by priests (also paid). They could pay for different quality of mummies (some only embalmed parts of the animals) but much of the embalming of the animals was faked. In many cases it looks like the purchasers were robbed as relatively few mummies were of intact animals, with most having dirt or other debris stuffed into the mummy. I think we should read “Lamarck” here (or another of Cuvier’s opponents, like Geoffroy Saint-Hilaire). Geoffrey Saint-Hilaire had the notion that vertebrates were not just inverted arthropods, but inside-out ones. “Physicists believe, and even affirm, that the atmospheric air is the actual substance of sound, that is to say, that it is the substance which, when set in motion by the shocks or vibrations of bodies transmits to the organ of hearing the impression of the concussions received. “That this is an error is attested by many known facts showing that it is impossible that the air should penetrate to all places to which the substance producing sound actually does penetrate. See my memoir On the Substance of Sound printed at the end of my Hydrogéologie, p. 225, in which I furnished the proofs of this mistake. “Since the publication of my memoir, which by the way is seldom cited, great efforts have been made to make the known velocity of the propagation of sound in air tally with the elasticity of the air, which would cause the propagation of its oscillations to be too slow for the theory. Now, since the air during oscillation necessarily undergoes alternate compressions and dilatations in its parts, recourse has been had to the effects of the caloric squeezed out during the sudden compressions of the air and of the caloric absorbed during the rarefactions of that fluid. By means of these effects, quantitatively determined by convenient hypotheses, geometricians now account for the velocity with which sound is propagated through air. But this is no answer to the fact that sound is also propagated through bodies which air can neither traverse nor set in motion. He sure put the physicists in their place with that one, didn’t he? I always felt for Lamarck, he was a brilliant scientist that sadly, happened to get the mechanism of evolution and some other things wrong. I also think that his much maligned (indeed incorrect, despite some epigenetic claims) inheritance of acquired characteristics was but a very small part of his views. He is one of the greatest victims of hindsight, I’d think. Darwin was no fan of Lamarck, but he wasn’t entirely free of Lamarckism himself. Wallace was more of a natural selection purist, but spoiled it with his woo about the higher mental faculties. I find it quite normal that, with the data he had, he composed a mistaken theory. To me, the sad thing is that he is remembered for his error, rather than for his contributions. The Australian white ibis, also known as the “Bin Chicken” has become wonderfully adapted to the urban lifestyle and is an unofficial bird symbol for some cities in Australia. The Australian white ibis is closely related to the African ibis, yet is definitely different. It speaks with a broad Aussie accent and can wrestle crocodiles. The historic explanation for the collection of specimens is fascinating- I never knew. In fact, the biologists and geologists were correct when they (sort of) said that the physicists were wrong.